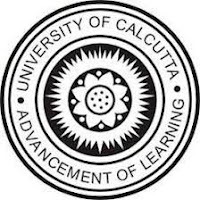 University of Calcutta invites the applications for admission to Certificate & Diploma Courses (Evening) 2018-19 in Arabic, Bengali, Chinese, French, Hindi, Pali, Persian, Russian, Sanskrit (only certificate), Spanish, Tibetan and Urdu Languages. (All the courses are of one year duration). No cut off marks for candidates who have post graduate degree. No cut off marks for candidates who have graduated before 1990. Candidates also have to obtain one-year certificate in a language from C.U. or an equivalent certificate from other Institutes are eligible to apply for 'Diploma Course' in that language. Duly filled in application along with attested copies of testimonials, two copies of recent passport size photographs for Admit Cards and the paid challan of Rs.100/ (Rs.50/-for SC/ST/OBC-A, OBC-B, PWD) payable at C.U. Cash Section (Please attach Counter part of Cash Deposition receipt and write on the reverse Name, Course applied for and Mobile No.of the Candidate) are to be submitted at the office of the Department of Languages.